Contact us today at 724-366-5074! 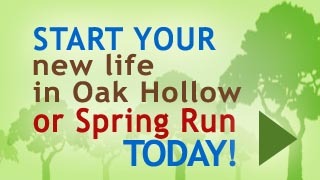 The Oak Hollow and Spring Run communities in Hopwood, PA bring a fantastic opportunity to live in a delightful, safe and secluded community in the Uniontown, PA area. 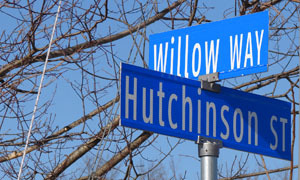 Encompassing dozens of acres of semi-rural southwestern PA real estate, these are the newest "buy or build a home" communities in South Union Township, PA.
You're welcome to join our community; choose from available Uniontown PA area homes for sale, or build your own home on one of our Fayette County, PA lots for sale! Secluded community, private streets, wooded areas, a pristine pond; you'll feel right at home in our Uniontown, PA area housing community! Just within Laurel Highlands School District, homes & lots for sale in Fayette County, PA are located mere minutes from fantastic dining and entertainment! Conveniently located near plenty of great places to go and things to do in the growing Uniontown, PA area, the Oak Hollow and Spring Run communities are just moments from National Road Route 40. Your new home in Hopwood, PA is minutes away from downtown Uniontown, PA and all the great shopping, dining and entertainment options that Uniontown and Fayette County, PA have to offer. 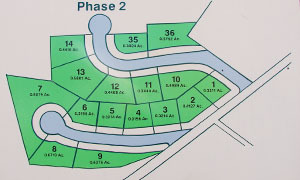 With plenty of lots for sale in varying sizes, our communities offer just what you're looking for: the place to buy (or build) your dream home in the outskirts of Uniontown, PA! 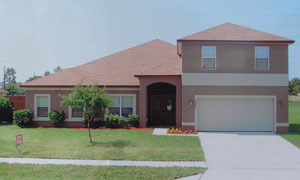 Please contact Oak Hollow, LLC today to find a home perfect for you and your family. 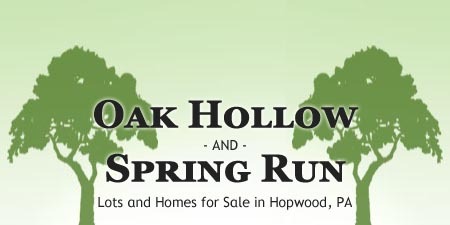 Oak Hollow and Spring Run are the newest communities of new homes and lots for sale in the South Union Township PA area.